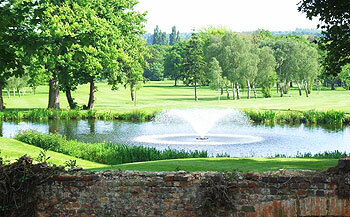 Royal Blackheath Golf Club appears in our ranked list courtesy of Golf World. They published a curious list – Top 100 Golf Courses of the World – in their November 2005 edition. They made it clear that their ranking was not based purely on the merits of the course, it was much more about the experience and they went on to say: “England’s oldest club has a stunning clubhouse and a fascinating museum containing hundreds of years’ worth of golfing memorabilia which is worth the visit alone.” We could leave it at that, but we think we’d be doing you and Royal Blackheath an injustice. It is thought that the Scots formed the Society of Blackheath Golfers in 1608 after James I reunited the thrones and, there is no reason to doubt this, but it’s difficult to substantiate. Records were destroyed in a late 18th century fire. The earliest remaining facts point to a silver club that was presented to the Honourable Company of Golfers at Blackheath in 1766. Blackheath was originally a 7-hole course with competitions usually consisting of three rounds, over 21 holes. As traffic built up on the main A2 road into London, it became impractical and dangerous to drive tee shots across the road. 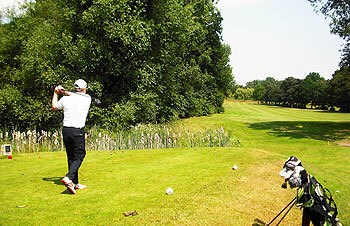 In 1923, the club amalgamated with Eltham Golf Club and it has remained there ever since. The 17th century Eltham Lodge is a worthy and fitting clubhouse for Royal Blackheath Golf Club, providing a decorous ambiance for such a historic club. You may visit the museum for approximately £10.00 per person and it’s probably the finest club museum anywhere in the world. Played a few times this summer and although not the hardest course in the world it was beautifully looked after and a lovely place to play golf at the weekend. However played today and discovered they have cut down loads of beautiful old trees all around the course, making it completely defenceless. Just because older members don't like going in the trees what gives them the right chop down old trees. Apparently they are spending £5 million on a five year plan. How about leave the trees and stick in great bunkers and some wonderful water holes!!!!!! Having played RBGC on many occasions in club matches over the years I was a little surprised as to some of the comments on the site. I recently (May 2014) organised an event here for 66 category 1 and 2 players and they were all thoroughly impressed with the course and condition. The greens for the time of year were superb, running very true and quick enough for the tricky pin positions! The course itself is relatively short by today’s standards and only a Par 70 but to give you some idea the CSS’s for our event were 73 and 73 reductions only proving that a course does not have to be overly long to be tough. There are some tough par 4’s notably the 1st and 17th which require accurate tee shots and approaches to small tricky greens and the 2 Par 5’s, although short, require some thought. The Par 3’s are a little uninspiring but overall the course is a delight to play and I would recommend anyone in the area pays it a visit. I am lucky enough to play all over the UK at some of the top ranked courses and I think a few courses have a high ranking on name alone – RBGC is a unique place to go and play golf. Once there, you would not believe you are in London only a few miles from the centre of the capital. The clubhouse is very grand and the only downside for us was the attitude of some of the members of staff. We did find them a little “gruff” to say the least but not enough to ruin our day. All golfers, especially those in the south of England should visit. Records tell us this is the oldest club (not course) in the country and at the top of the clubhouse there is a wonderful museum which is home to all sorts of memorabilia dating back 400 years or so to hopefully verify the claim. The clubhouse is a stunner, a beautiful building with many rooms that have so much history and tales of yester-year. The course as it is today has only ninety years of history after the move from ‘the heath’ to Eltham, something to do with the opening of the A2 road into London. The course cannot be called one of the greats but it is certainly enjoyable but if I am honest there are a lot of holes that can be seen on parkland courses all around the country. The 3rd hole is a strong par-4 at around 420 yards with a hedge across the fairway and probably the best hole on the front nine. The back nine probably just edges the front in terms of being stronger but I am sorry to mention the 16th; a 150 yard par-3 with a massive green and that is about it, where is the trouble? The last two holes are the best on the course by far, the 17th is uphill, with a slight left turn and 420 yards long add in a bank 20 yards short of the green and a par is a tough ask. The closing hole is only 265 yards long and offers an obvious birdie chance, watch out for another hedge and bunkers 60 yards short of the green though. For the experience, this was a 5-ball opinion for me – but for the course, an average 3-ball. I played the course in March 2010. It is a nice course from the city centre of London. The course is in quite good shape and the first three holes are very solid long par 4's. The course has no spectacular holes, but it good value for money and worth a visit when you want to play a quick round in London. Hole 17 is probably the most spectacular hole from my perspective. It is a long uphill par 4 with a massive mound 50 yards in front of the green. The club house is very nice and the own club museum is worth a visit. The greens were quite ok, but I have to keep in mind that it was March. A very nice track close to central london. On arrival, judging by the cars in the car park I expected a snobby club but was pleasantly surprised. The staff were delightful and the members friendly and welcoming. The course is a tough test of your golfing ability. The first is a great start to the round and the picturesque views around the ourse make it a pleasant trip all round. Well worth a visit. I played here with a member yesterday on a glorious Sunday afternoon, there had been a lot of rain the previous day but the course stood up very well to it. We had a very enjoyable round, the greens were quick despite the rain and very receptive as you can imagine. All in all the course is a very well maintained parkland course. My only slight criticism would be the consistency of the sand in the bunkers but that is acceptable at this time of year. I especially enjoyed holes 3, 13, 17 & 18 (nervous approach to the 18th as the club house is so close). I ended up using every club in my bag, which gives you an idea of the variety of shots you have to play. The clubhouse in spectacular even more so than Moor Park I would say, the drive in is pleasant and the changing room facilities are very nice. I prefer links golf myself but this is a very nice park land course, 15 mins from central London. I played a match at Eltham golf club where Royal Blackheath ended up playing some 90 years ago. The club house is really wonderful, a paldian mansion, and to go with it is some truly great hospitality from the members. In fact several of the members say that the club is more a drinking club than a golf club and that definitely proved to be true. They have a pretty full and well connected fixture list to prove they are a popular club to visit and for their history they are really worth a visit. All this is needed because this is one very poor golf course, they should start by sacking their green keeper, as it is a poor golf course kept very poorly. Fairways were uncut, newly renovated bunkers had grass growing through the sand, the greens were a complete mess, no bare patches had been re-turfed or seeded etc etc. As a test of golf it is a really poor design, up and down bland parkland golf crammed into a small area. I think the 17th is the only hole that provides an interesting test of golf. Beyond that there is a mess of random tree planting, some times in the middle of fairways!, none of which is indigenous. Even with such a limited canvas to work on there seems to have been no co-ordinated effort to make the best of what they do have. They need to get a course designer in and think long term. As you have to mark this on the golf course it gets a very poor mark, however my name will be first on the list for next years match because of that wonderful hospitality. Having just read this persons comments regarding the course I think either he/she needs a new pair of glasses or they were actually not with us at all.We have an excellent greenkeeper who has done much to improve the course over the past few years and if the person I am commenting on would like to come up to the Club and meet me for a game sometime..then just call me.In the meantime, I wish this person great golfing and a more happy memory should they ever care to visit this wonderful club again. Ah Royal Blackheath a lovely course but make sure you take your sand iron, there are bunkers all over the place. Greens were a bit slow when I played here in Feb but it’s a step back in time and nostalgic too. It’s not really a Top 100 course, more of an upmarket but honest London parkland track. The club is about it's history and it's members. When you drive into Royal Blackheath (it was actually Eltham Golf Club) you are presented with a marvellous crumbling old pile of a club house. The club retains the traditions of the game and is run like an old gentlemens club, which is actually good to see in a club of such history. However the course does not match the history or the club house. It is a very ordinary park land course of which there are a holf dozen better examples within a 20 minute drive (try Sundridge East). However if you love your golf history go there for a round of golf and spend a lazy afternoon experiencing the musuem, playing snooker and sipping G&T's all of course in the obligatory jacket and tie.